Discover South Korea’s tropical beauty and traditional culture on a three-day escape to Jeju Island. With your friendly and expert local guide, explore the island’s natural highlights, from the Cheonjiyeon waterfall to Manjanggul Lava Tube and Sunrise Peak, and learn why Jeju is known as the Isle of the Gods. Witness traditional Korean culture first-hand at a folk village, and tour the island’s parks, gardens and UNESCO World Heritage Sites. Please note: Your departure flight on Day 3 must be booked after 8pm. JeJu is an island located to the Southwest of the Korean peninsula. The weather is quite pleasant and significantly warmer than the mainland which makes it a popular holiday, or year-round destination. In addition to three UNESCO World Heritage Sites in Jeju, people come to enjoy the natural beauty and coastal culture of this island. Since JeJu Island has mountains and is an island surrounded by Pacific Ocean, all tourists can enjoy hiking, walks along the beach, water sports and visit many JeJu island specific museums such as Teddy Bear museum throughout the year. 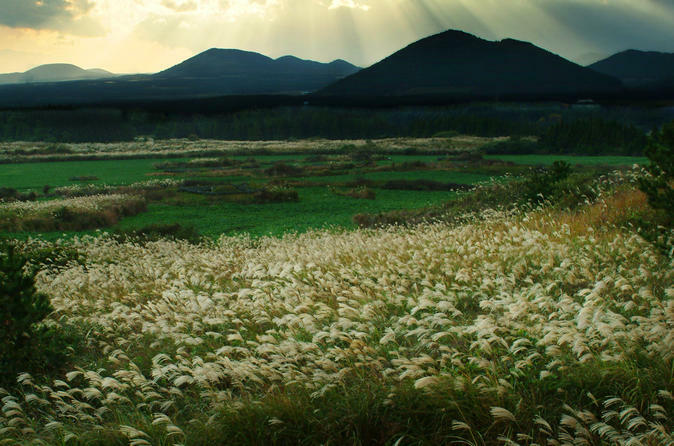 Prepare yourself for an 8.5-hour Jeju Island tour. To maintain the highest quality and personalized experience, you will be in a group of no more than 10 people. 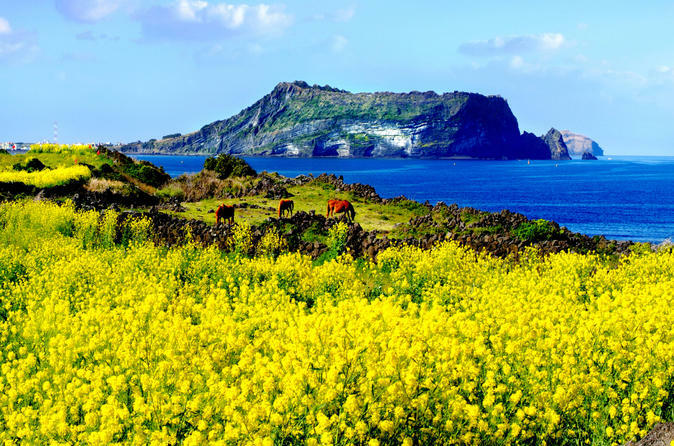 With your professional, local guide you will enjoy Jeju Island as you visit some of its top attractions. Among the few are Yongnuni Oreum where you can enjoy 360 degrees picturesque scenery from the top and Seongeup Folk Village, a small town that holds a vast amount of Jeju's unique culture. Jeju, an island located in the Southwest of Korea, is known for its pleasant weather year-round, natural beauty and coastal culture. During this 9-hour tour you will have a chance to visit Jeju Folklore History Museum, Dragon Head Shore and either have fun picking up tangerines or visit the cutest Teddy Bear Museum depending on what time of the month you are in Jeju Island. You will also have a chance to visit the Seaside Cliff with an impressive pillar rock formation and the beautiful Cheonjiyeon Waterfall during this memorable tour. This 3-day and 2-night premium private tour is for those who are looking for a high-quality, small group tour with family, friends, and colleagues. This tour package includes UNESCO sites, quality attractions, lunch, a private vehicle, a certified guide and tickets to see the famous Nanta Show. 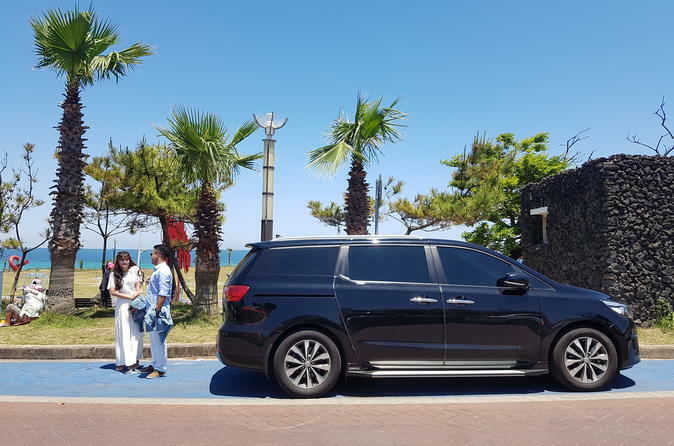 Your professional, local tour guide will take care of you during your stay on Jeju Island, taking you to the main nature spots of the east and west areas. This includes Seongsan Sunrise Peak, Cheonjiyeon Waterfall, Manjang Cave, Seongeup Folk Village, Jusangjeolli Cliff, etc. In addition, you can change some of the tour itineraries through a discussion with your tour guide. As it's a private tour, you do not need to worry about unwanted shopping stops or skip tourist spots that do not fit your interest. This 3-day tour caters to those who are looking for a high-quality gourmet tour to understand the region and its culture. Plus, following a well-planned tour itinerary, you can visit UNESCO heritage sites and renowned attractions. 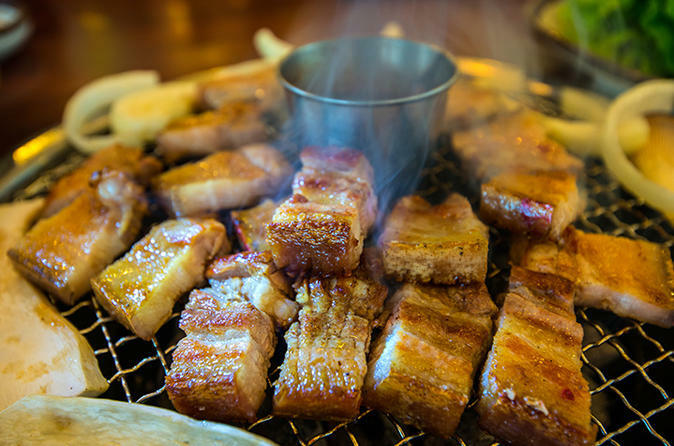 Jeju Island has various unique foods as it's far from the mainland. 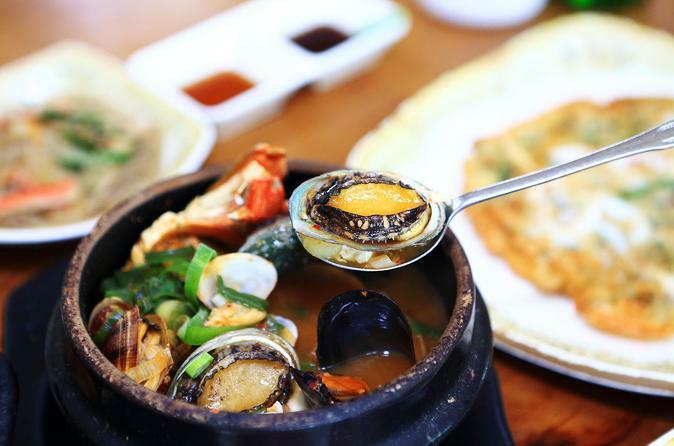 Special delicacies you shouldn't miss include Jeju's black pork BBQ and fresh seafood. The package covers local breakfasts, lunches and dinners, including local street foods. The harmony of picturesque landscapes and delicious foods will be an unforgettable memory for you. Design your own 9-hour Jeju island tour! A certified and fluent English/Chinese speaking guide will show you around the real Jeju island. 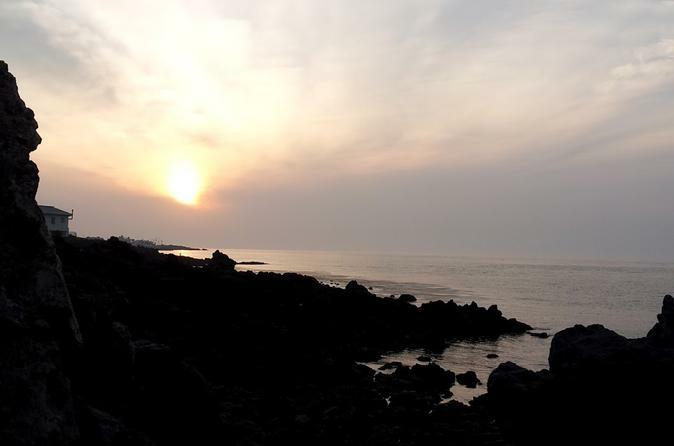 If you don't have much knowledge about Jeju island, your professional, local tour guide will help you arrange the itinerary the morning of the tour. This tour is highly recommended for those who want to have a relaxed and high-quality tour with family, friends, colleagues, elderly, infants. As it's a private tour, you do not need to worry about unwanted shopping stops. This is a great chance to take wedding photographs in Jeju! There is no need to bring a photographer or make up artist on your own. With this offer, you will have everything you need from a professional hair and make up artist, professional English-speaking photographer, wedding dresses, accessories and flower bouquets in all colors. 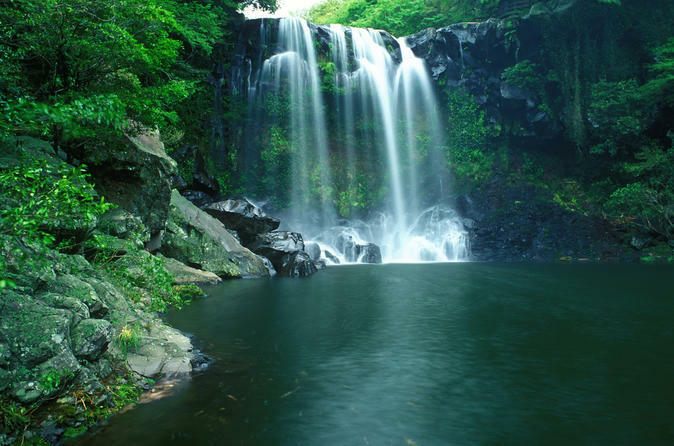 You will explore the natural beauty of Jeju and have the greatest gift, a beautiful memory, through this full-day tour. Please note: This seasonal tour runs annually between April and August. The dates are subject to change. 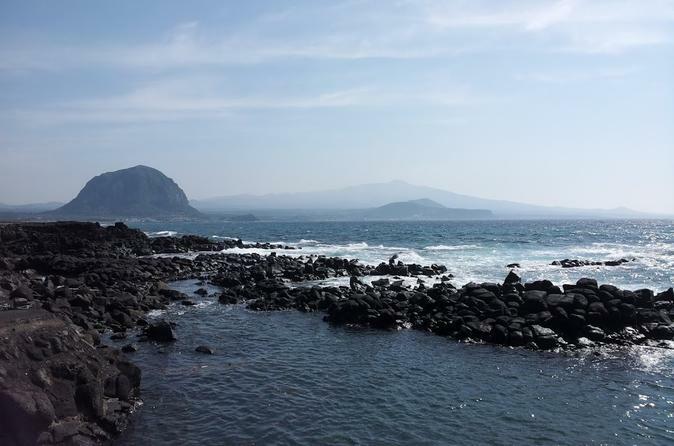 Take an unforgettable private full day tour of beautiful Jeju island. Follow your friendly and professional guide to some of Jeju's most beautiful destinations and sink your teeth into delicious Jeju local market street food. You'll explore the Jusangjeoli Lava Cliff and Cheonjiyeon Waterfall plus venture to Manjang Lava tube and other popular hot spots. Top that off with a local lunch of either seafood stew or pork barbecue. Unlike many tours in Korea, this tour does not include any compulsory shopping stops. Make your visit to Jeju extra special by getting your photos taken while enjoying an overview of the island. This 7.5 hour private session includes pickup and drop-off, dress and tuxedo rentals, professional hair and makeup and a photo shoot in 3 different locations. Jeju Island is one of the most sought after wedding photography locations due to its impeccable landscape and blessed nature.